Located in Him Lam Urban Area (Khu đô thị Him Lam), Tan Hung Thuan Ward (Phường Tân Hưng Thuận), District 7 (Quận 7), Ho Chi Minh City (Thành phố Hồ Chí Minh), Artinus 3D Art Museum is home to hundreds of huge 3D artworks created by 15 professional artists from Korea. 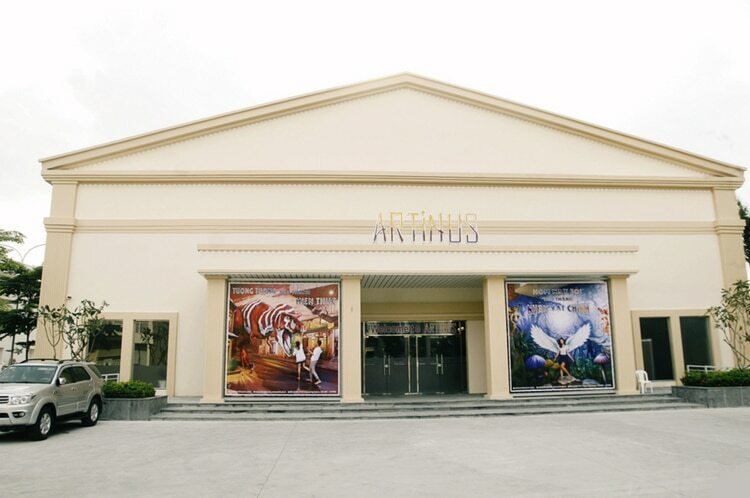 With an area of over 4.000 square meters, Artinus is considered one of the most outstanding museums in Vietnam. Coming to Artinus, you will be able to go around and store unique moments, immerse yourself in the mysterious and fanciful hallucination space with diverse emotions that are not inferior to other famous 3D painting museums in the world. The museum consists of nine zones with nine topics that are suitable for different ages such as Aqua Zone, Animal Zone, Giant Zone, and so on. 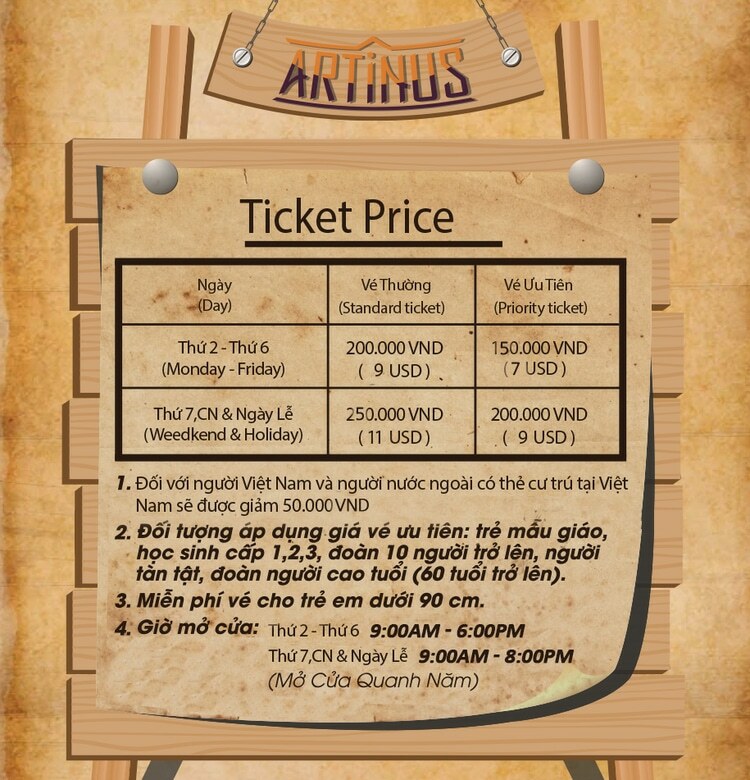 Therefore, Artinus promises to be a new entertainment and sightseeing place for everyone, where you can relieve stress after hard working and studying hours. People who can buy priority ticket are students, groups from 10 guests, people with disabilities, groups of elderlies (from 60 years old). Vietnamese people and foreigners who have a resident permit will receive a 50.000VND discount on weekdays and a 40.000VND discount on holidays. Children under 90 centimeters are free of charge. This zone opens to you an imaginary underwater world. You will have the opportunity to experience amazing 3D artworks of marine livings like sharks, whales, dolphins, and many more. It is the area showing stereoscopic pictures of the animal world. Coming here, you can take interesting photos with animals that are often difficult to access in real life such as lions, elephants, bears, etc. 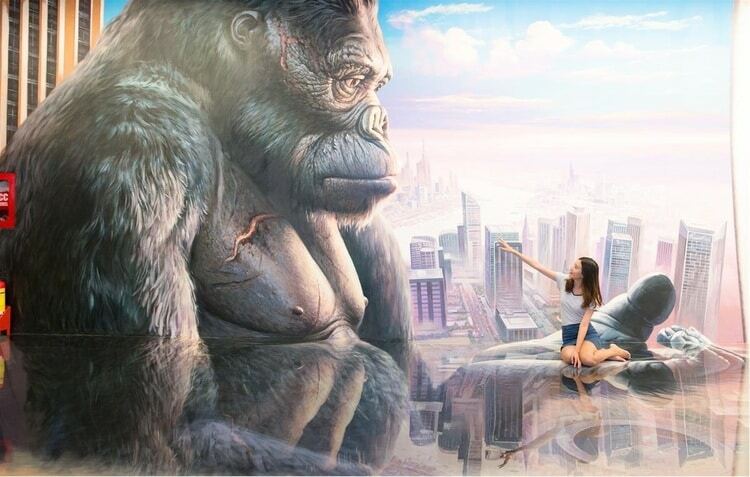 The place contains colorful stories in the world of giants. You may find yourself sitting in the hand of a King Kong, swimming in an aquarium and being fished by a cat, or being chased by a baby. In the zone dedicated to famous paintings, you will find lots of those that possess human and historical values. You will also have a chance to become the main character in the arts of Van Goh, Michelangelo, Botticelli, Much, and so forth. In this area, you will see the grand natural and cultural pictures of Vietnam. Moreover, you will get your own beautiful photos that you probably not able to capture even when you go to the original place. The image of Egypt will appear when you enter this zone. You will feel like being in a movie set in this mystic country. It is the gate that welcomes you into the wonderland with hidden, extraordinary, and unimaginable things, which only exist in mythology: unicorns, fairies, giant trees, and various creatures. You will encounter a strange house, where the mirror in the bathroom does not reflex your image but another’s, where there is a room making people bigger and taller, where you may suddenly become a meal of giants if negligence, and where you can float in the air like Taoists. Beautiful and lovely backgrounds here will provide you with dozens of vivid photos. This zone is also an ideal place when you want to take commemorative photos on special occasions such as birthday, Halloween, or Christmas. You must not bring foods and drinks into the museum. You must take off your shoes outside and put in a locker. To get photos with perfect 3D angles, you should stand right on the marked photo points. Remember to charge your phone or camera battery fully before visiting the museum. The museum offers vouchers on some distribution websites. Since a coupon is as valuable as a normal ticket, you should find and purchase online in advance for a cheaper price. IV. What to Eat and Where to Stay? Do not hesitate to take a trip to Artinus 3D Art Museum with your family or friends right away to enjoy an unforgettable vision party, and then write a comment below to share with us your achievement. For more information about other attractions in Ho Chi Minh City in particular and Vietnam in general, please visit our homepage.